Hershey is committed to improving cocoa farming in Ghana, West Africa, and globally through its 21st Century Cocoa Sustainability Strategy. The Hershey Learn to Grow program provides farmer and community training so that farmers can produce certified cocoa. 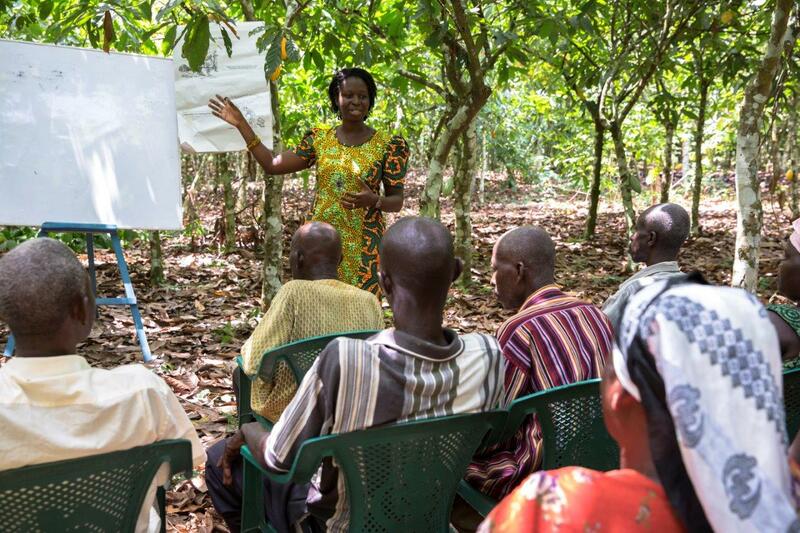 Hershey training programs help modernize cocoa growing to increase yields and farmer incomes and attract young cocoa farmers and women cocoa farmers to the business. 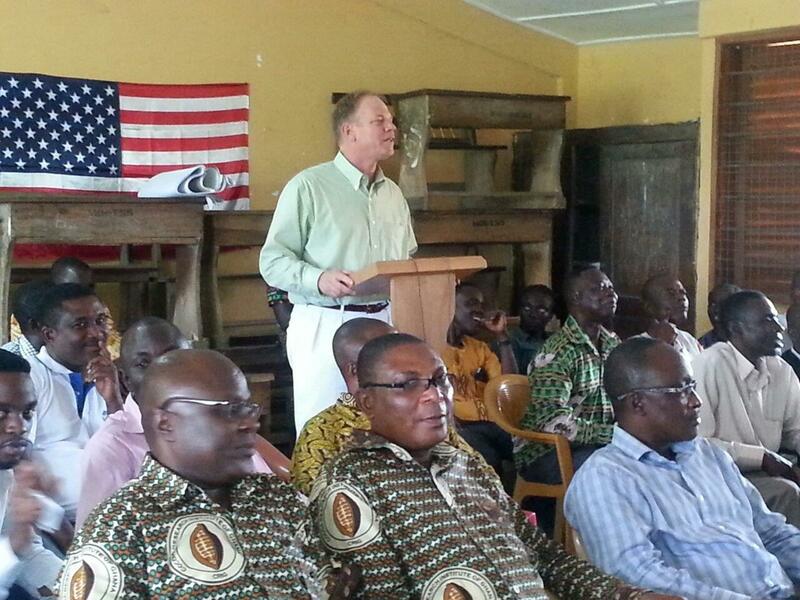 Andy McCormick from The Hershey Company addresses Ghanaian officials and dignitaries during an event at the Hershey Learn to Grow training farm in Assin Fosu, Ghana, to recognize Ghana’s National Best Cocoa Farmer of the Year, an award sponsored by Hershey. Assin Fosu, Ghana and Hershey, Pa., August 6, 2014 /3BL Media/ ― The Hershey Company today recognized three of Ghana’s best cocoa farmers as part of Hershey’s Learn to Grow program, which modernizes cocoa growing to improve farmer incomes and help communities. Three cocoa farmers – including Ghana’s National Best Cocoa Farmer of the Year – were selected by The Ghana Cocoa Board for demonstrating excellence in cocoa growing. Ghana, the world’s second largest cocoa producer, has approximately 700,000 cocoa farmers. Modernizing cocoa growing to increase yields and farmer incomes, while attracting young cocoa farmers and women cocoa farmers, are key priorities for the Ghana Cocoa Board. 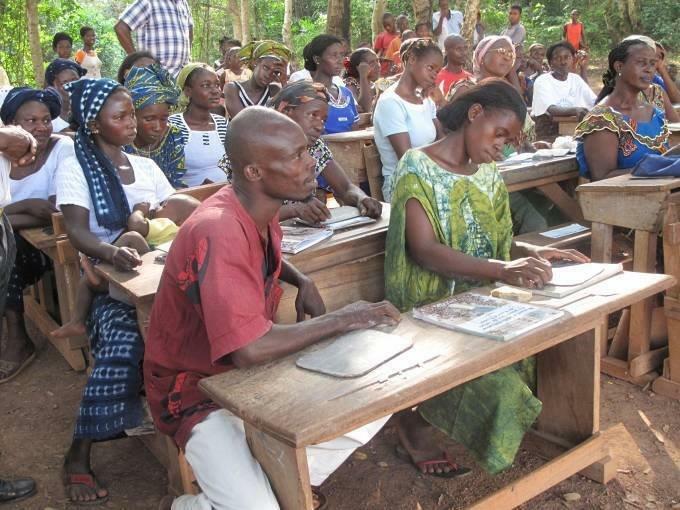 The farmers selected through the Hershey Learn to Grow and Cocoa Board partnership are Mr. Abraham Adusei, National Best Cocoa Farmer for 2013, and two farmers representing young and female cocoa farmers. Ghana is an important source of cocoa beans and cocoa products for the Hershey Company. Through its 21st Century Cocoa Sustainability Strategy, Hershey is committed to improving cocoa farming in Ghana, West Africa, and globally. Next month, all three selected cocoa farmers will visit Hershey where some of the world’s leading chocolate brands – including Hershey’s Milk Chocolate, the Reese’s brand and the Hershey’s Kisses brand – are manufactured. While in Hershey, the farmers will see first-hand how chocolate is manufactured on a mass scale and the importance of high-quality cocoa to support global chocolate growth. Hershey recently invested more than $250 million to expand its West Hershey plant, creating one of the largest and most technologically advanced plants in the world. Hershey-supported cocoa programs in Ghana include CocoaLink, which delivers free text messages through mobile phones to 45,000 farmers and communities. The Hershey Learn to Grow program provides farmer and community training so that farmers can produce certified cocoa. 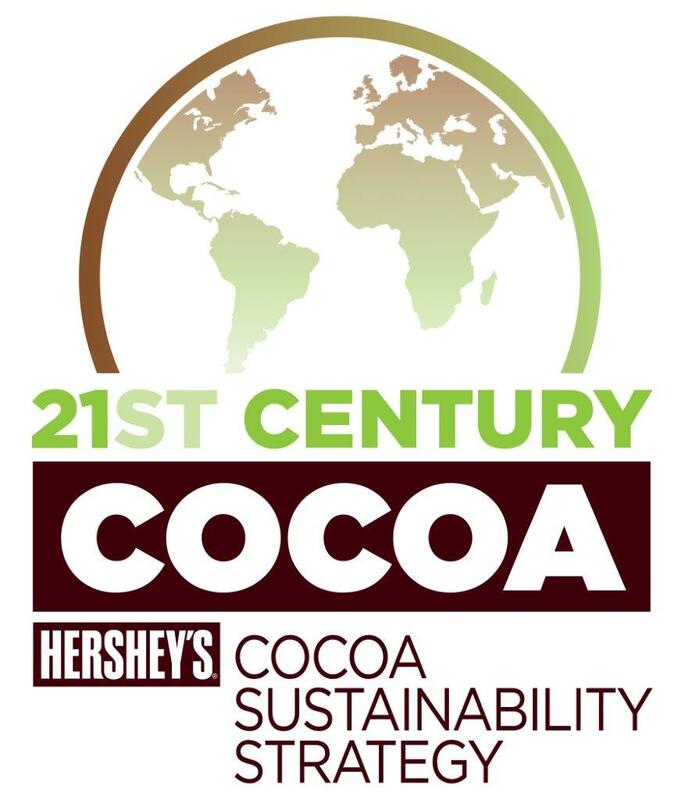 Hershey has pledged to purchase 100 percent certified cocoa by 2020. Learn to Grow also is using low-cost technologies such as GPS mapping to help farmers build long-term business plans to double cocoa yields on their farms. These initiatives are aligned with and designed to advance the World Cocoa Foundation’s CocoaAction, a strategic, voluntary framework for coordinating leading global cocoa and chocolate companies and governments to accelerate cocoa sustainability in West Africa. Hershey is a founding member of CocoaAction. The announcement of Ghana’s National Cocoa Farmer of the Year occurred at the Asin Fosu school in central Ghana where Hershey has established a distance learning program with Ghana students and Milton Hershey School. The Hershey Company (NYSE: HSY), headquartered in Hershey, Pa., is a global confectionery leader known for bringing goodness to the world through its chocolate, sweets, mints and other great-tasting snacks. Hershey has approximately 13,000 employees around the world who work every day to deliver delicious, quality products. The company, which has more than 80 brands around the world that drive over $7.1 billion in annual revenues, includes such iconic brand names as Hershey's, Reese's, Hershey's Kisses, Jolly Rancher and Ice Breakers. Hershey is focused on growing its presence in key international markets while continuing to build its competitive advantage in North America. Additionally, Hershey is poised to expand its portfolio into categories beyond confectionery, finding new ways to bring goodness to people everywhere.